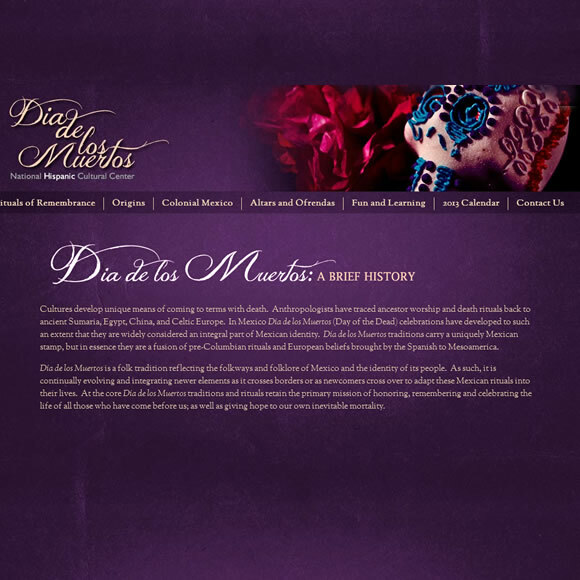 Online exhibitions and digital resources produced by the Department of Cultural Affairs. 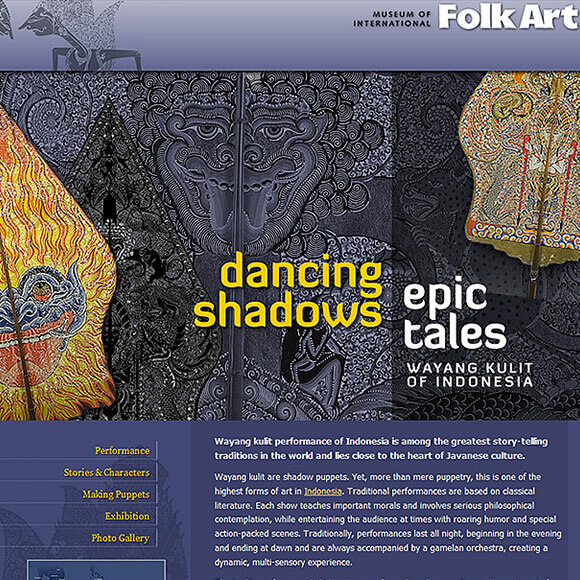 The tradition of wayang kulit--shadow puppetry-- has been performed in Indonesian villages, cities, and royal courts for hundreds of years. 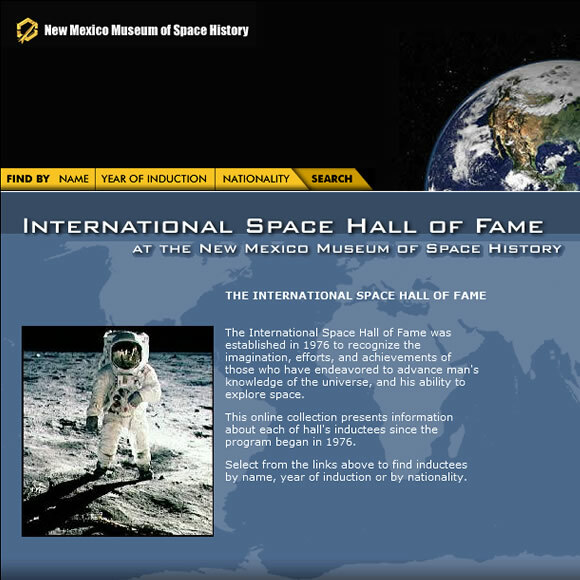 The International Space Hall of Fame recognizes the imagination, efforts, and achievements of those who have endeavored to advance man's knowledge of the universe, and his ability to explore space. 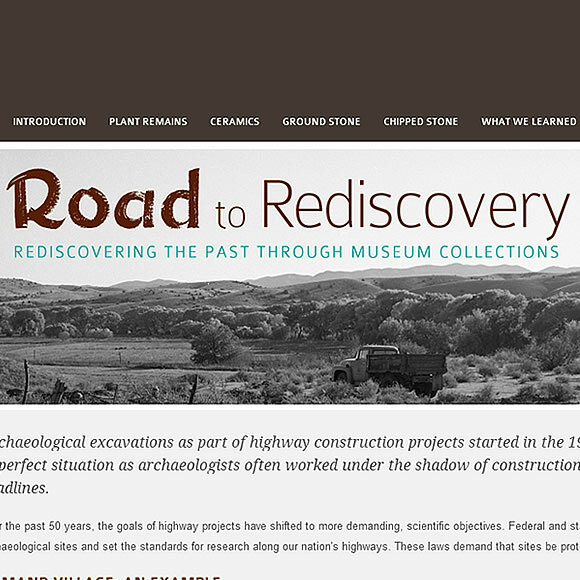 New Mexico is the home of the nation's oldest Highway Archaeology Program. In recent years, highway archaeology projects have been more rigorous and scientific. Find out what was learned about one site using new techniques. 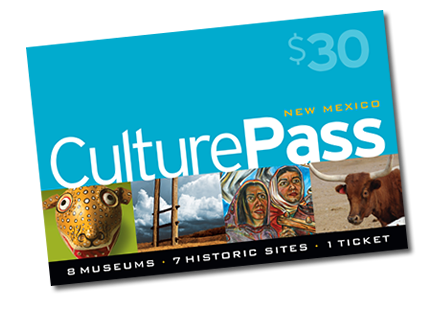 With over 20,000 works, the core collection of the New Mexico Museum of Art is primarily art from the Southwest, particularly New Mexico. 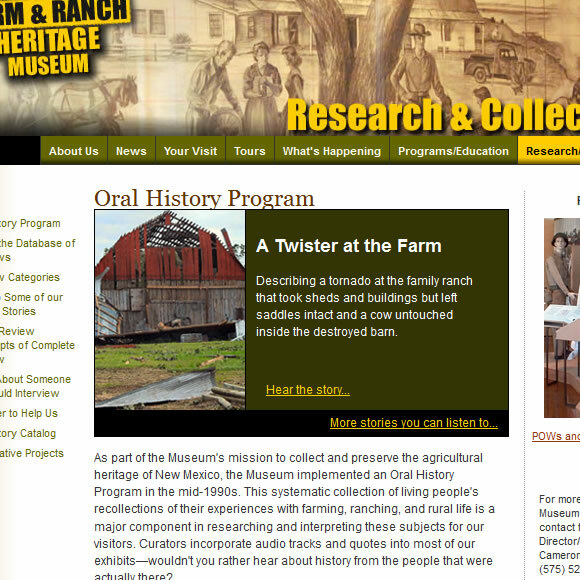 This systematic collection of living people's recollections of their experiences with farming, ranching, and rural life is a major component in researching and interpreting these subjects. 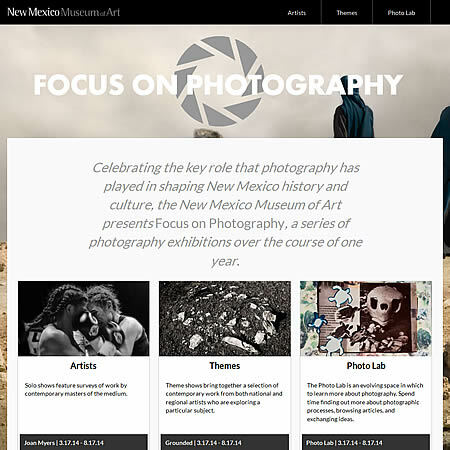 Celebrating the key role that photography has played in shaping New Mexico history and culture, Focus on Photography is the online complement to a series of photography exhibitions offered in 2014-2015. 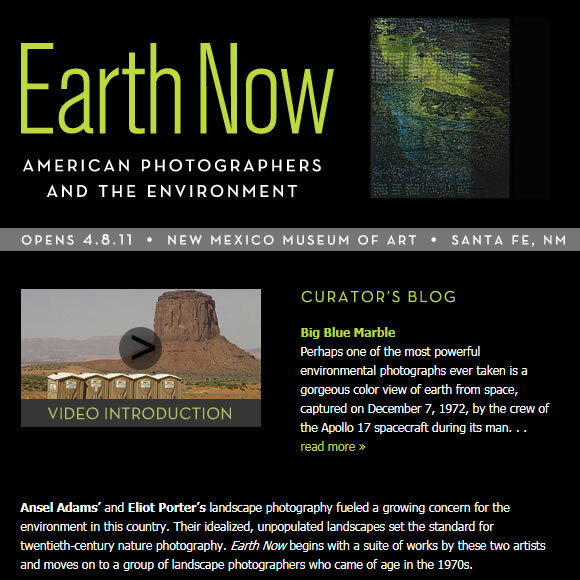 Ansel Adams’ and Eliot Porter’s landscape photography fueled a growing concern for the environment in this country. Their idealized, unpopulated landscapes set the standard for twentieth-century nature photography. 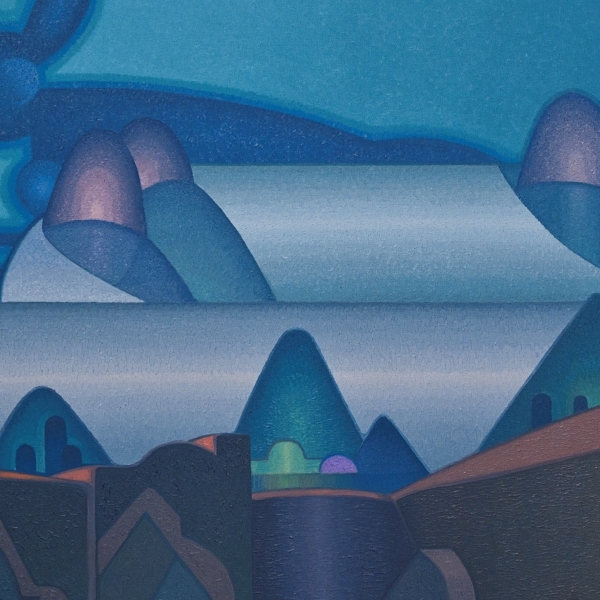 Earth Now begins with a suite of works by these two artists and moves on to a group of landscape photographers who came of age in the 1970s. 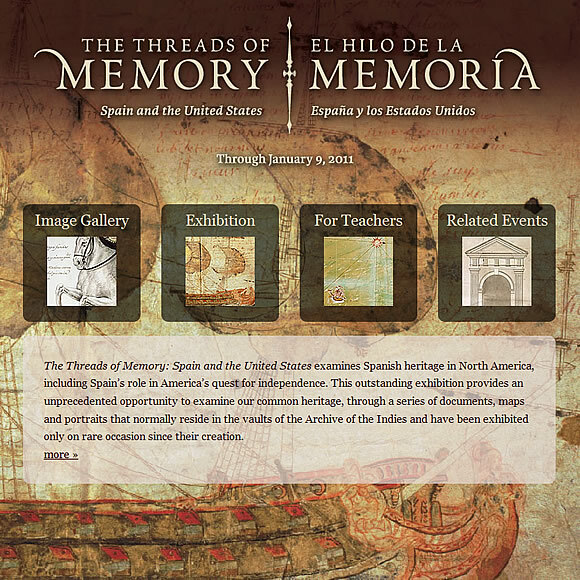 This online exhibition explores the traditions and rituals of honoring, remembering and celebrating the life of all those who have come before us. 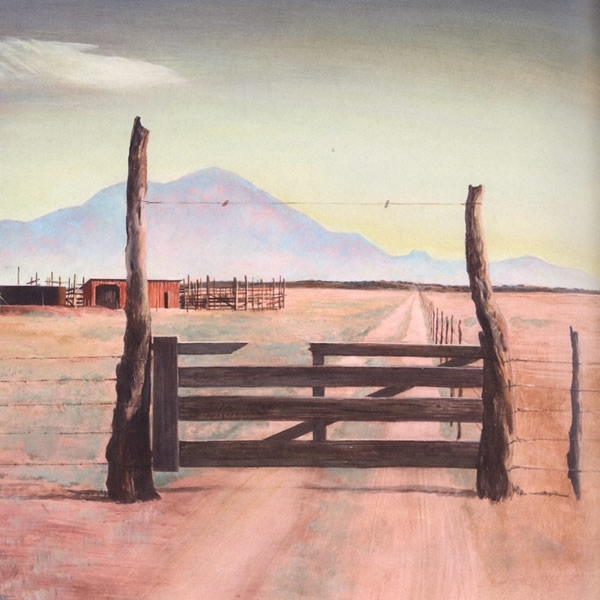 Separated from the Viceroyalty in Mexico City by distance, geography, and climate, New Mexico's settlers and their descendants produced a unique culture combining traditions of the Old and the New World. 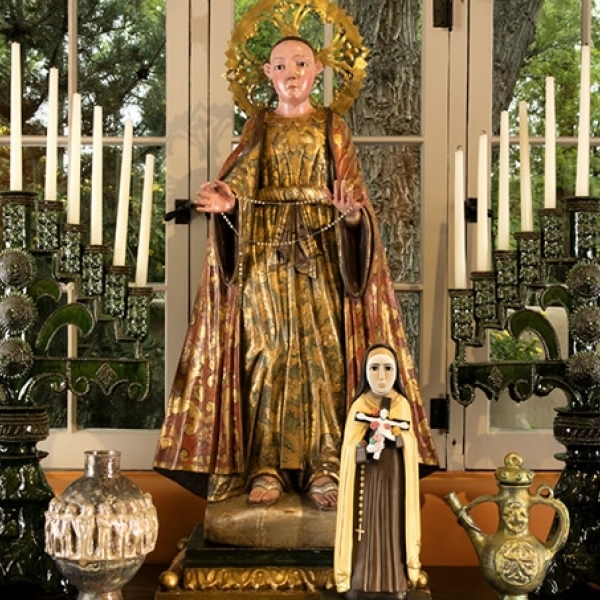 No better example of this tradition can be found than santos (saints), New Mexican images of religious devotion. 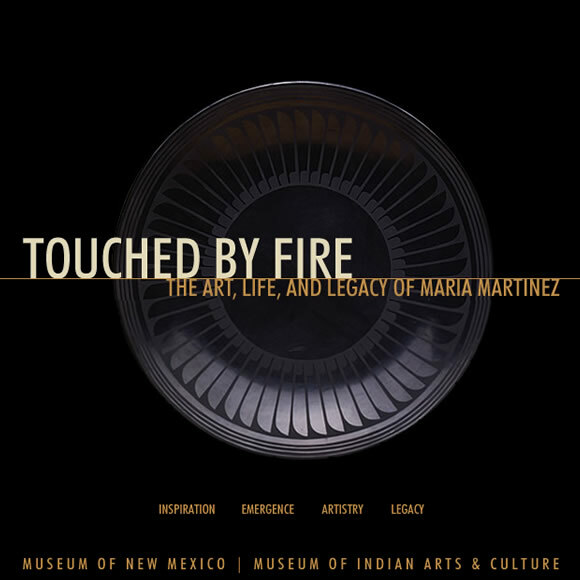 Presents a glimpse into the life of Pueblo potter Maria Martinez whose vision lives on in potters who expand the definitions of tradition and continue to create beautiful, vibrant, and innovative works of art. 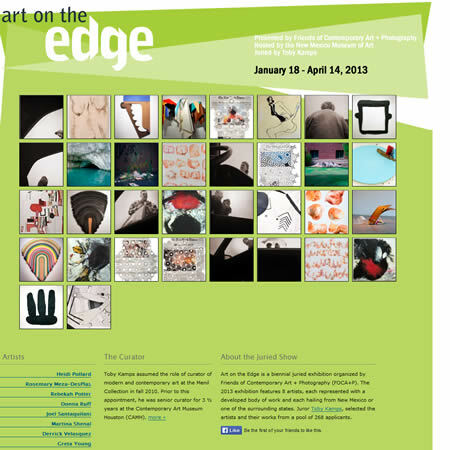 Art on the Edge is a biennial juried exhibition organized by Friends of Contemporary Art + Photography (FOCA+P). 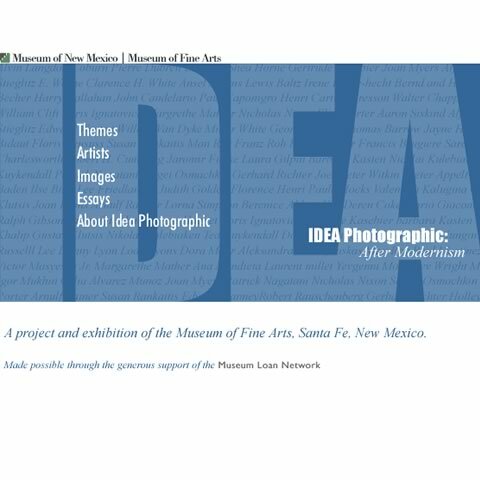 The 2013 exhibition features 8 artists, each hailing from New Mexico or surrounding states. 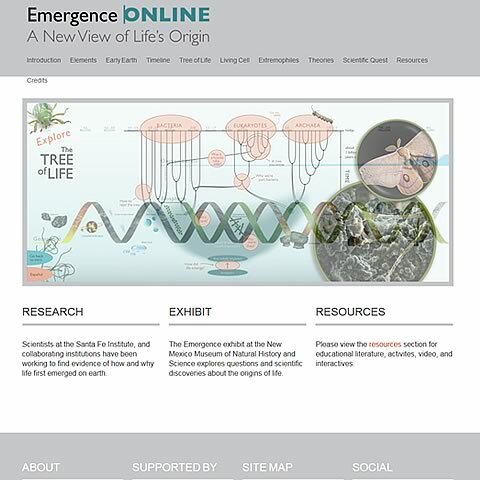 A companion to the Emergence exhibit at the New Mexico Museum of Natural History and Science, which explores questions and scientific discoveries about the origins of life. 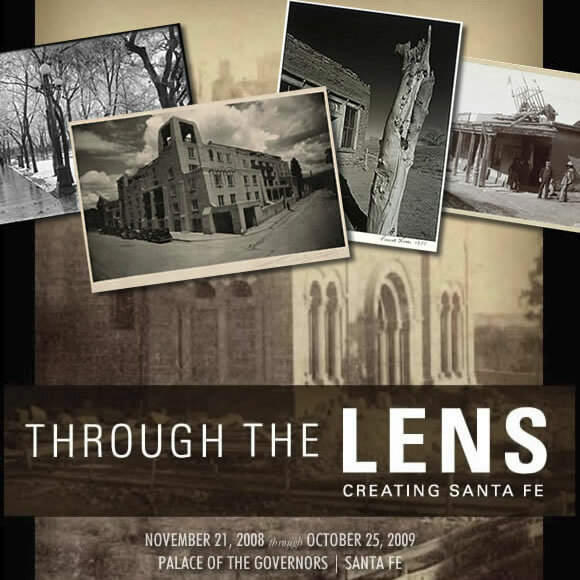 Through the Lens: Creating Santa Fe is a visual history of Santa Fe, New Mexico — as it celebrates its 400th anniversary as the oldest capital city in North America. These images, selected from the collection of the Photo Archives at the Palace of the Governors and through studio visits with contemporary photographers, illuminate the multiple meanings of place. 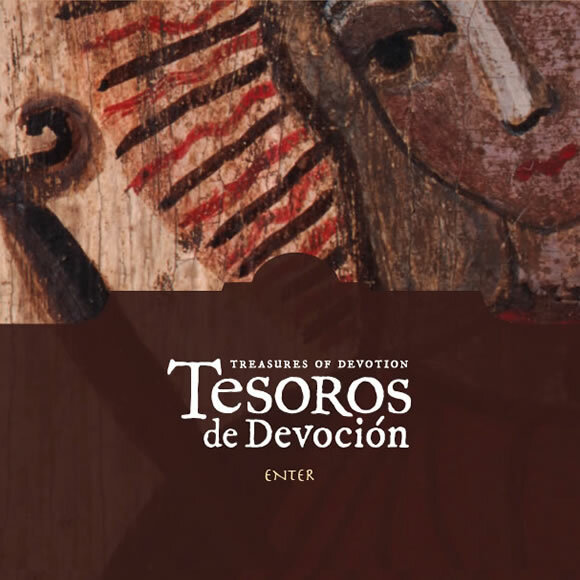 Provides an unprecedented opportunity to examine the common heritage of Spain and the United States through a series of documents, maps and portraits that normally reside in the vaults of the Archive of the Indies. 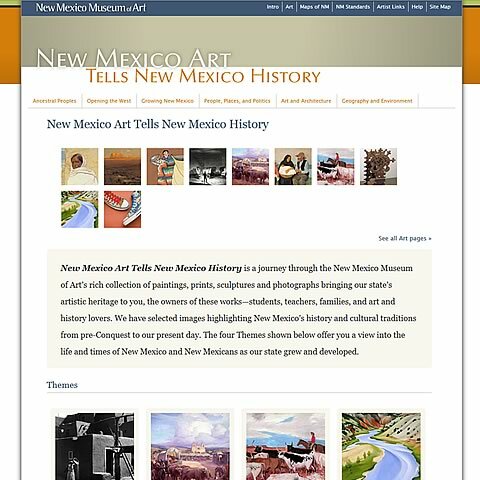 New Mexico Art Tells New Mexico History is a journey through the New Mexico Museum of Art’s rich collection of paintings, prints, sculptures and photographs designed for teachers and educational settings. 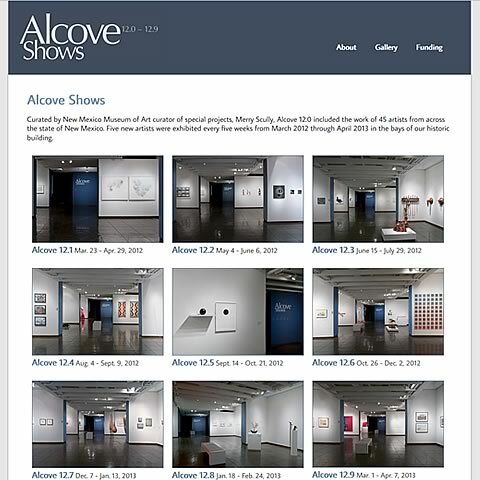 Alcove 12.0 included the work of 45 artists from across the state of New Mexico. 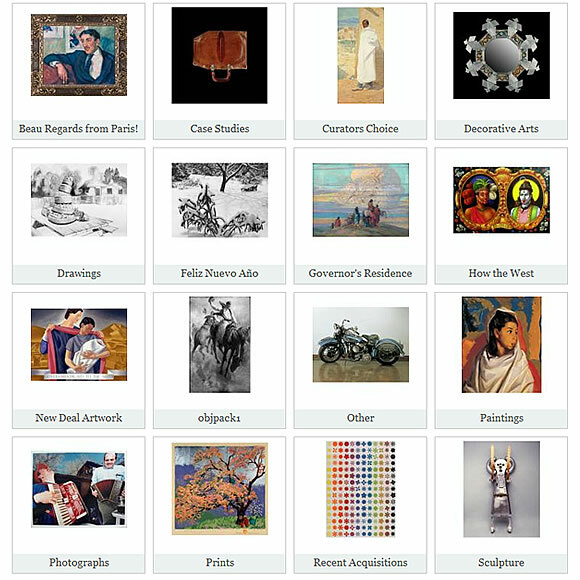 Five new artists were exhibited every five weeks from March 2012 through April 2013. For a century after Charles Darwin published The Origin of Species in 1859, scientists could compare only physical features to describe evolutionary lineages. 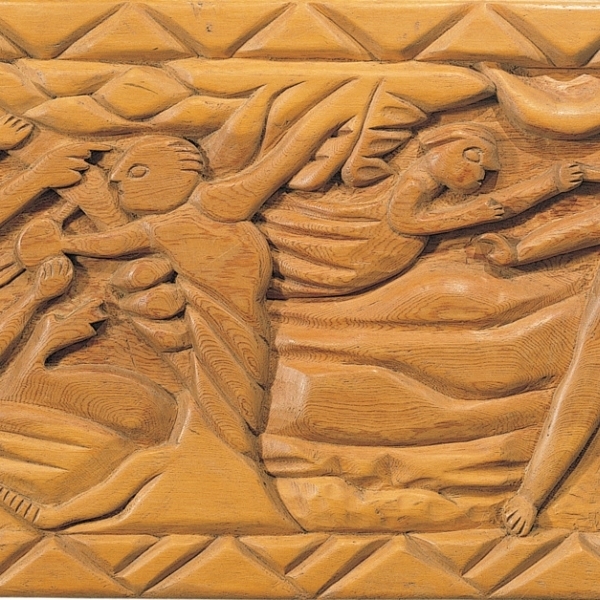 The picture that resulted was often illustrated as a Tree of Life. 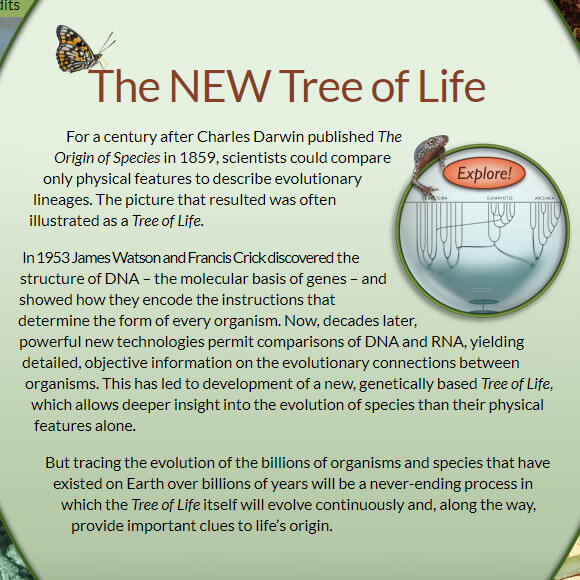 Now, decades later, powerful new technologies permit comparisons of DNA and RNA, yielding detailed, objective information on the evolutionary connections between organisms. Developed in 2002 for what was then the Museum of Fine Arts, IDEA Photographic provides viewpoints on new photographic contexts stemming from the history of modern art.